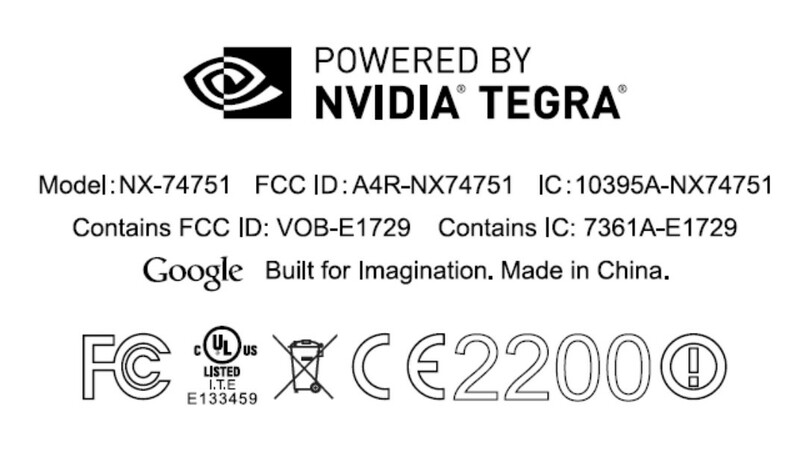 While we were busy flying around the country last week, checking out the new goodies from Samsung and Motorola, a reader of ours noticed that a “7-inch tablet” that is “powered by NVIDIA Tegra” and running an LG battery, stopped by the FCC under Google’s ID. The device is odd, to say the least. 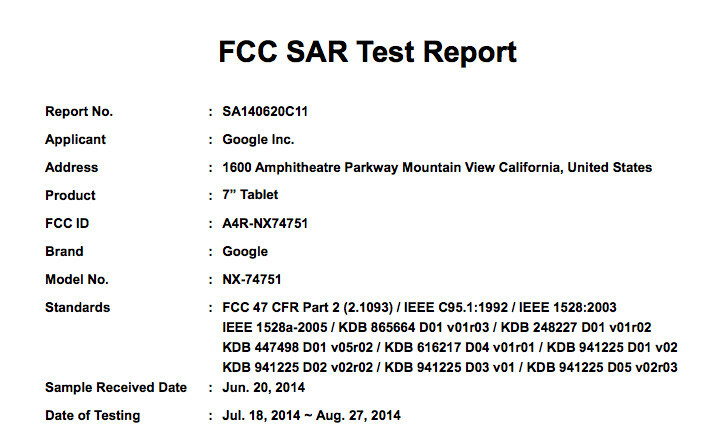 The device falls under FCC ID A4R-NX74751, in case you want to go digging through the listing. It features some sort of NVIDIA Tegra chip, global roaming with LTE (bands 2, 4, 5, 7, and 17), and an LG-made battery that only weighs in at 2,480mAh. So what is it? Well, your guess is as good as ours. Maybe it is really a phone instead of a tablet? That battery is so small for a tablet. For example, the current Nexus 7 (2013) has a 3,950mAh battery and the brand new Moto X has a 2,300mAh battery. How could Google, LG and NVIDIA team up to produce a tablet that has a battery with 2/3 of the capacity of the previous Nexus 7? The whole situation is odd and we really aren’t sure what to make of it. We’ll see what else we can dig up. In the mean time, feel free to weigh in.